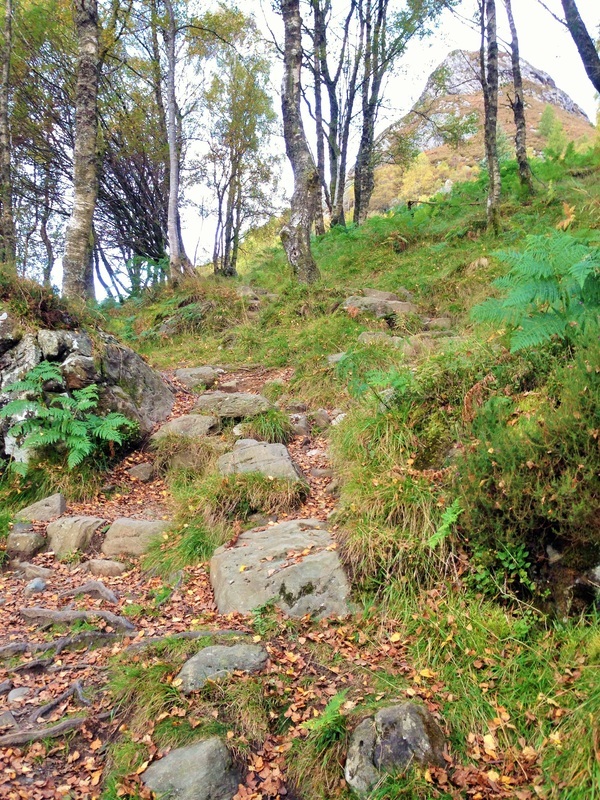 Ben A'an, Loch Lomond and the Trossachs. 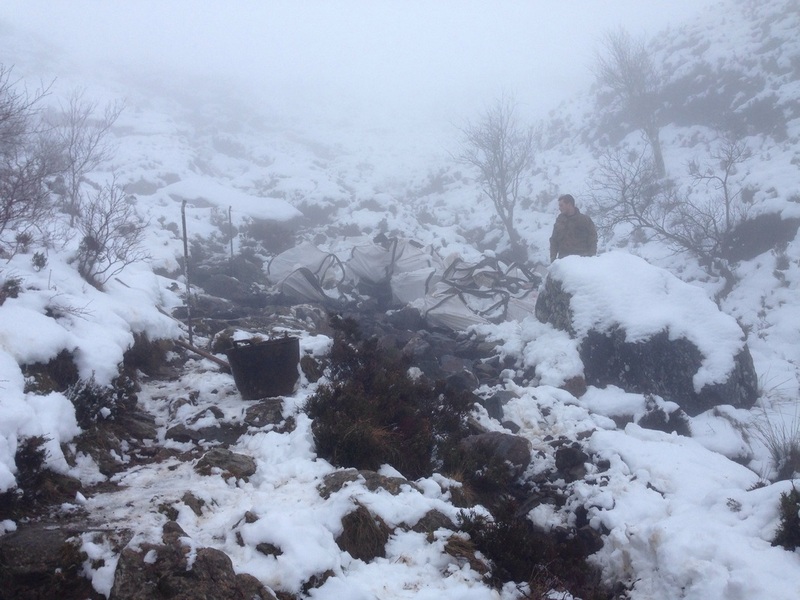 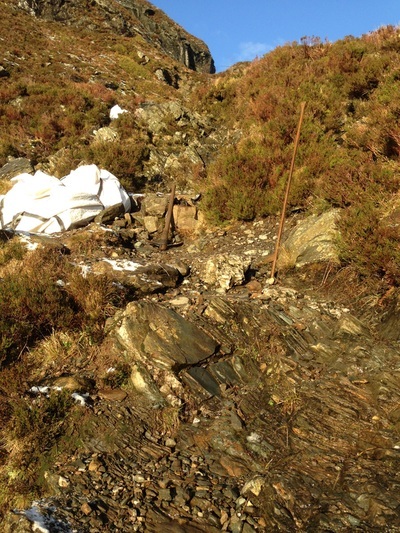 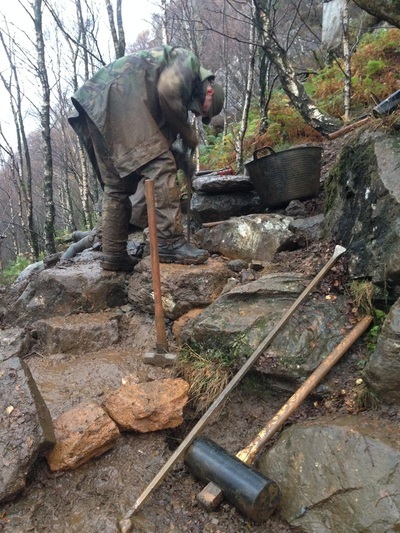 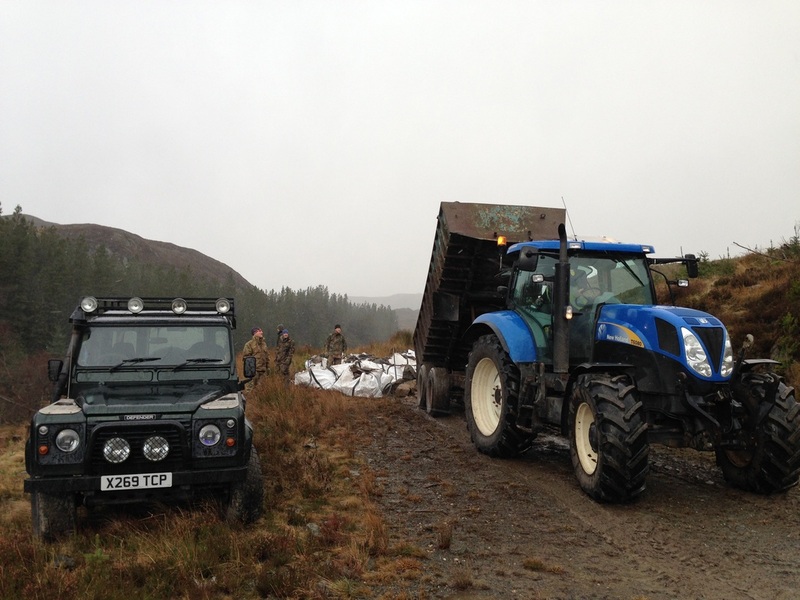 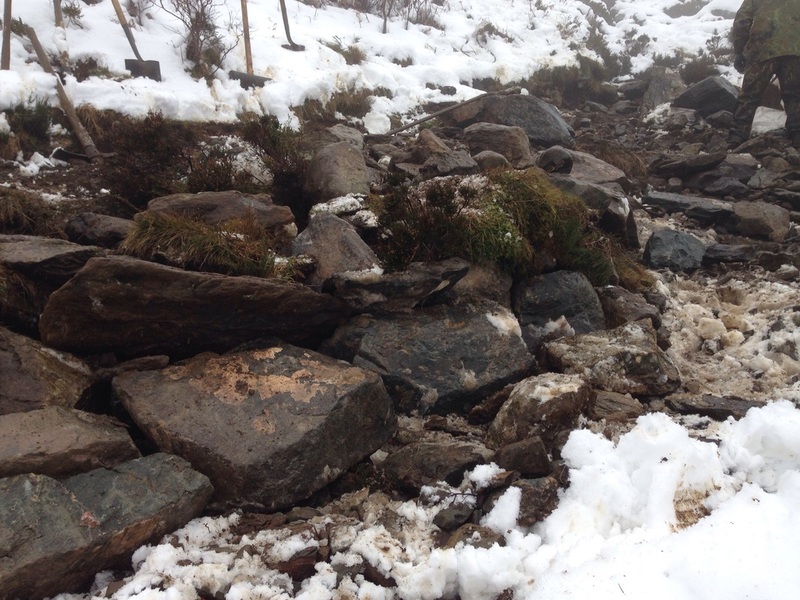 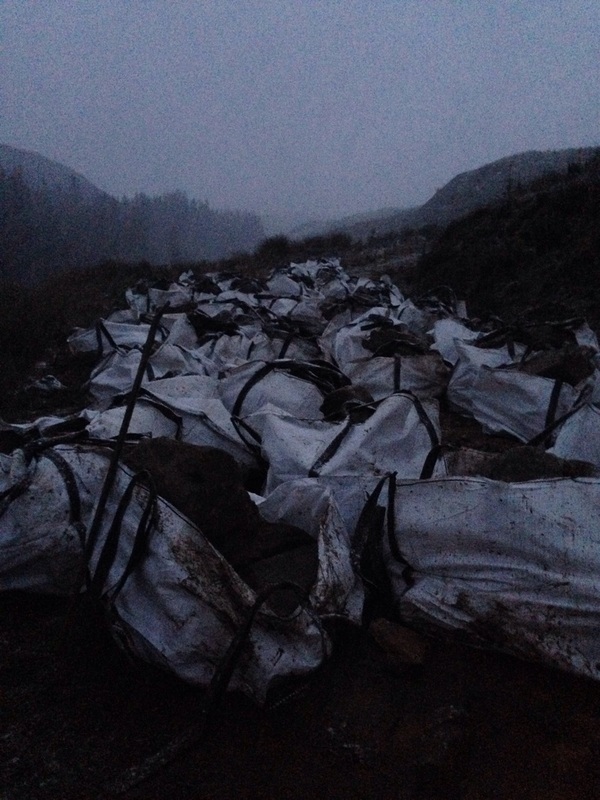 The first contract to go out from COAT's TMTP project in the Loch Lomonod and the Trossachs National Park. 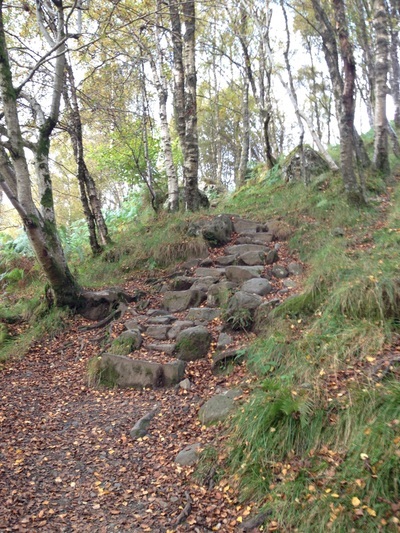 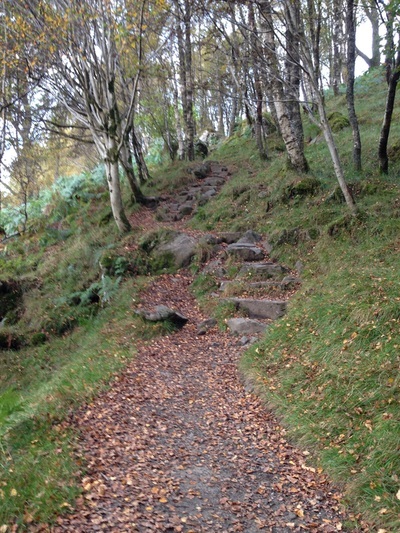 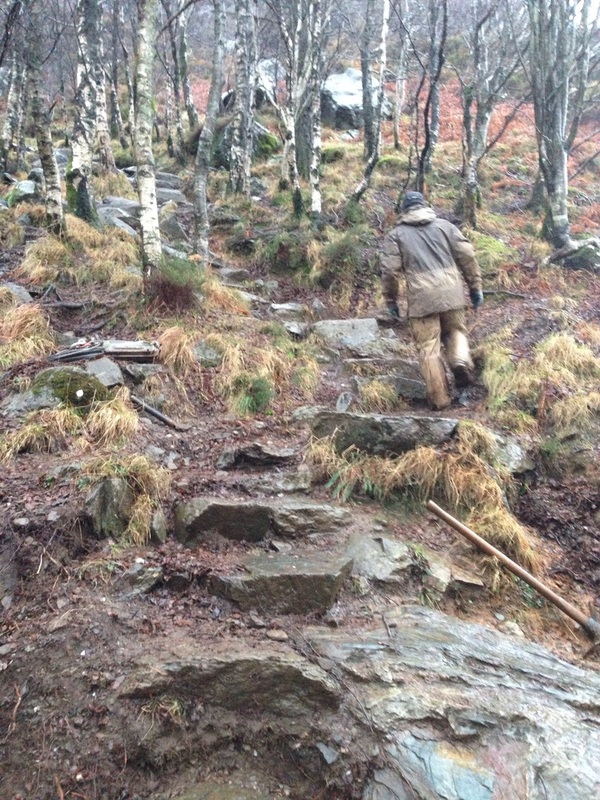 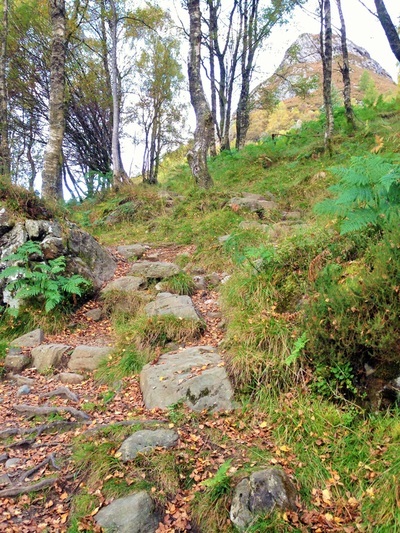 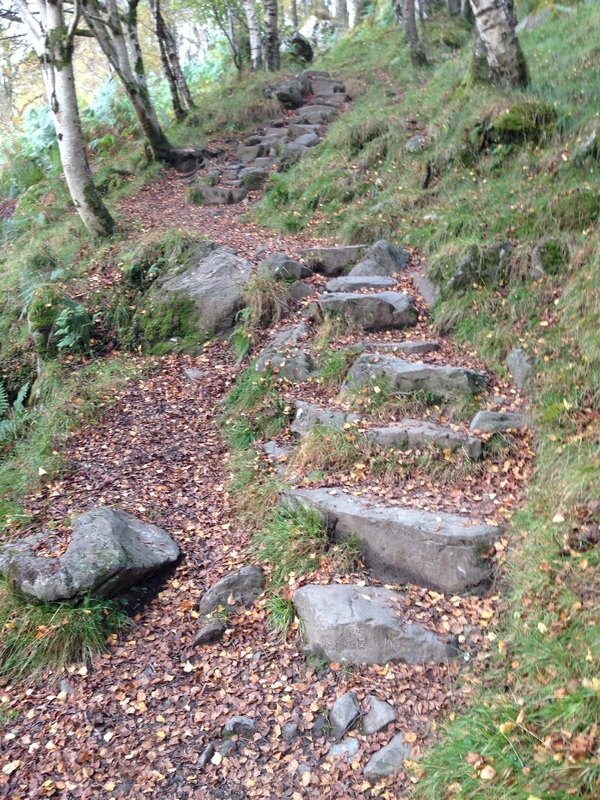 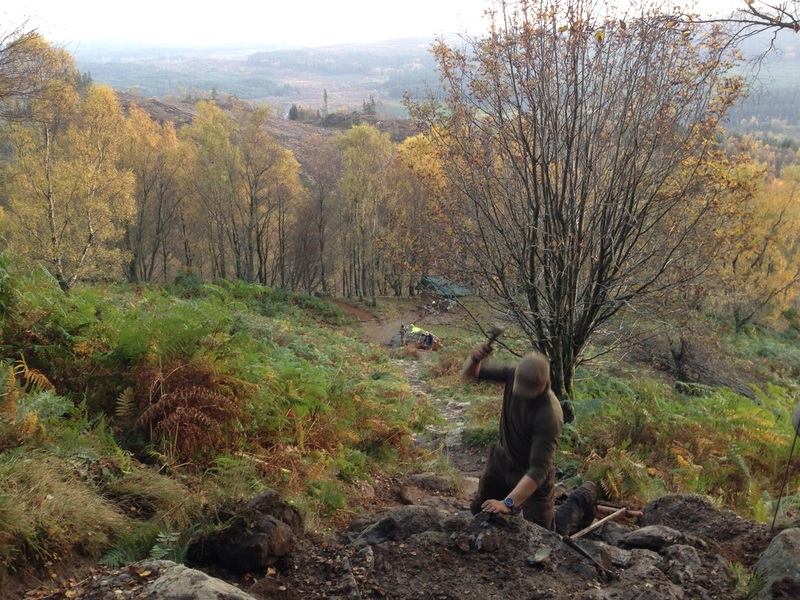 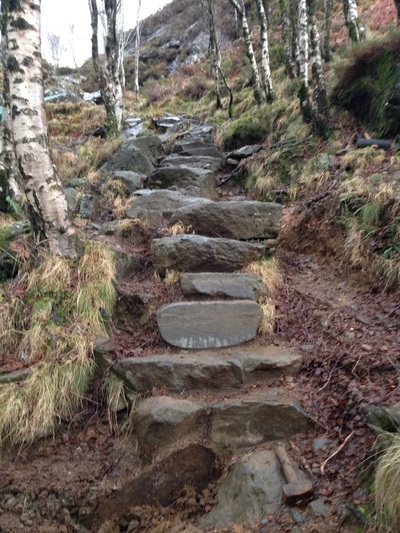 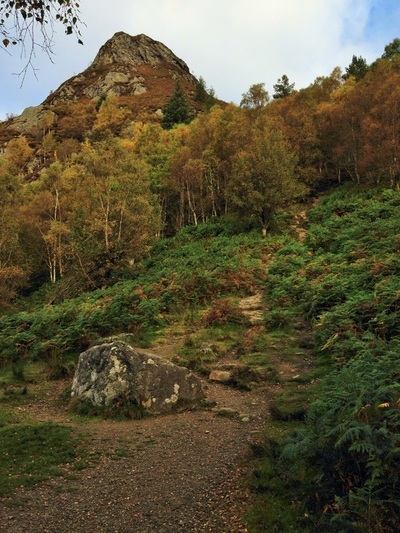 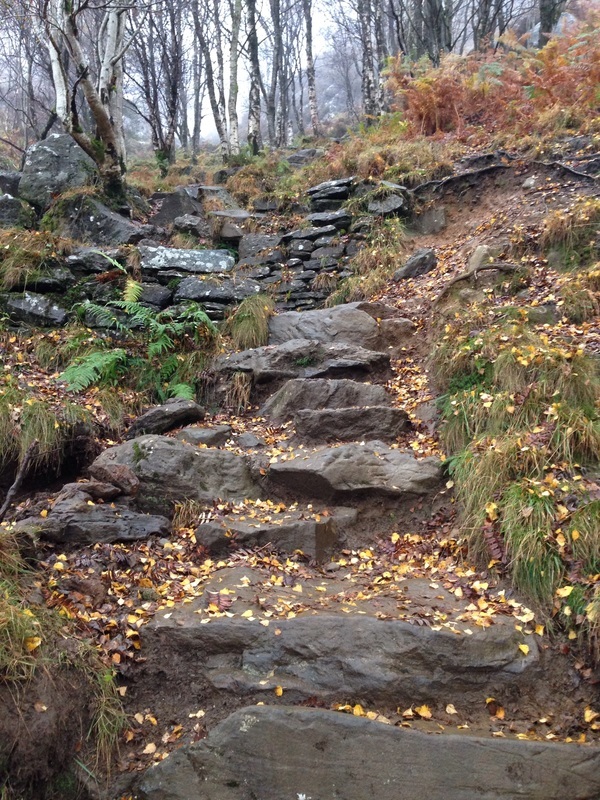 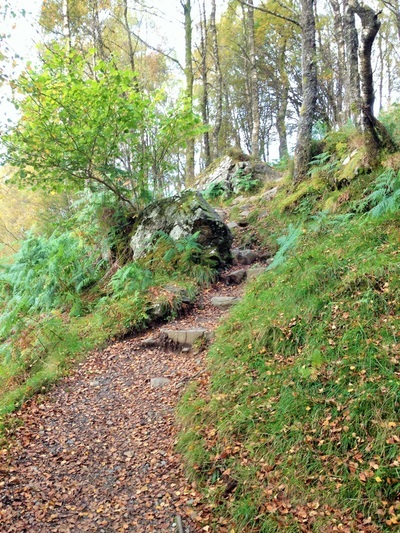 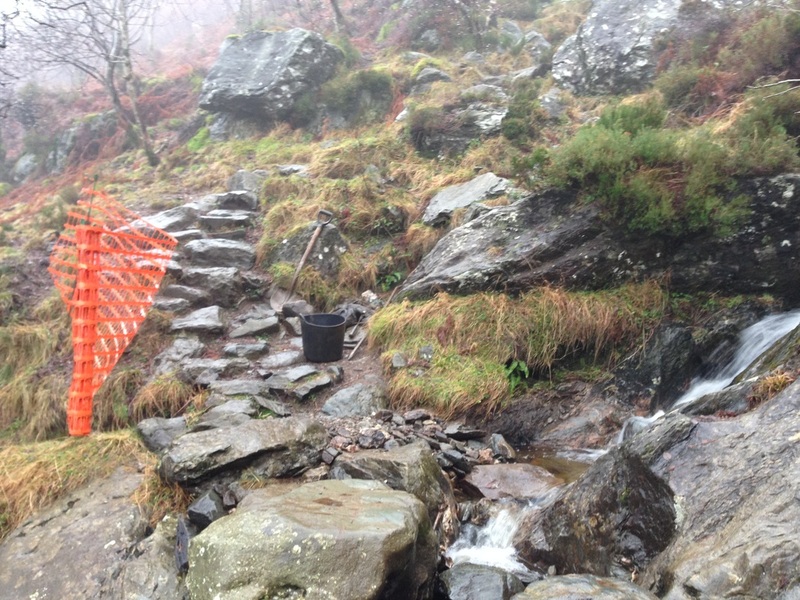 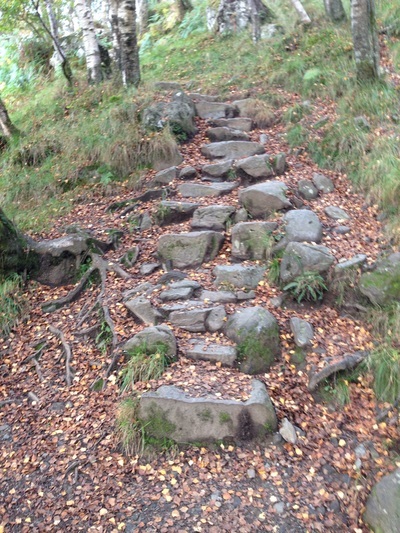 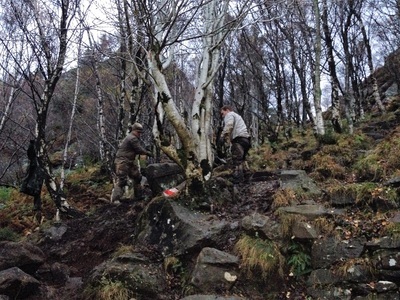 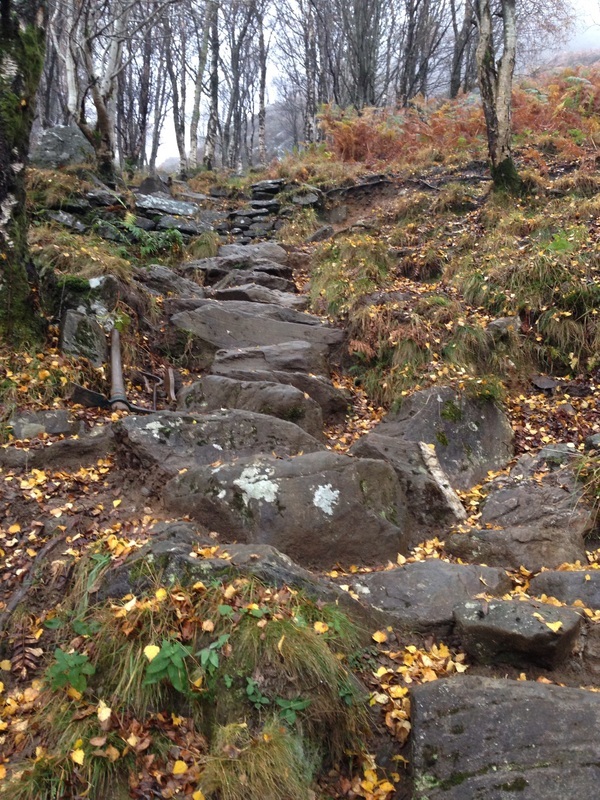 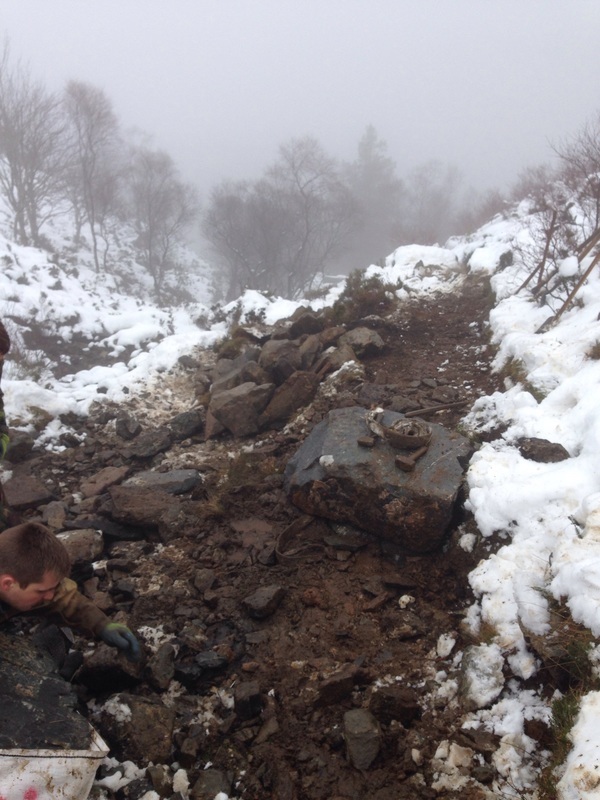 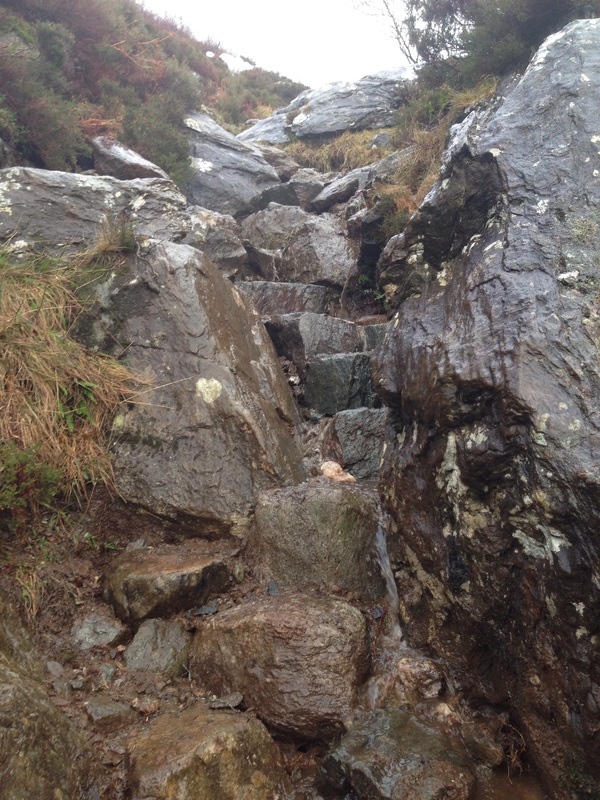 This was a full build stone pitched and aggregate path up the steeper sections of the mountain, a path already existed but needed a lot of work to get it fit for purpose. 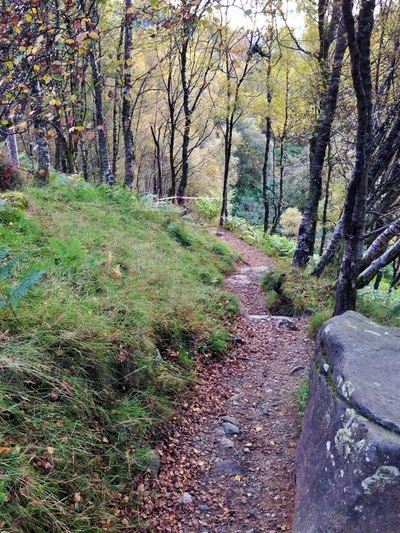 The path, due to its relatively easy access, has a very high footfall and in places has suffered due to this, but the major cause of the erosion and damage was from the burn that runs all the way through the site.It wasn't until we saw it in full spate that we could really appreciate it! 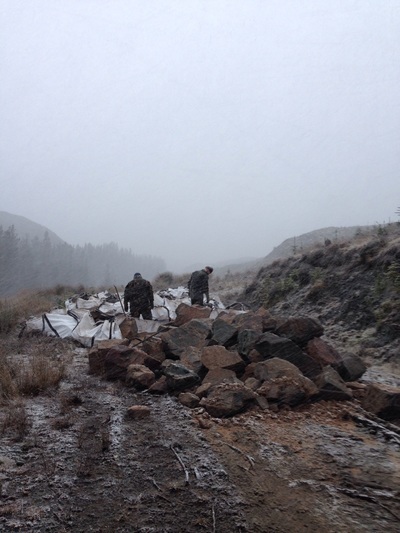 While we tried to use as much stone from site a lot had to be collected and imported to site which was flown in to position by helicopter. 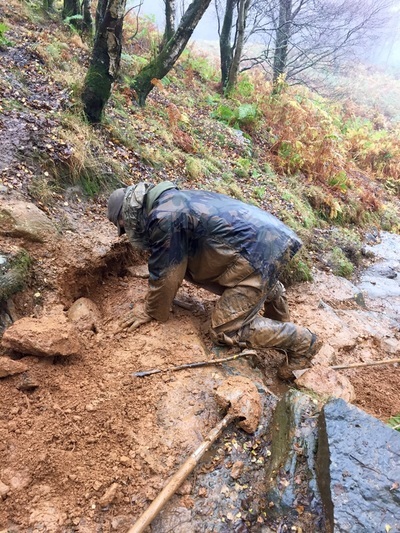 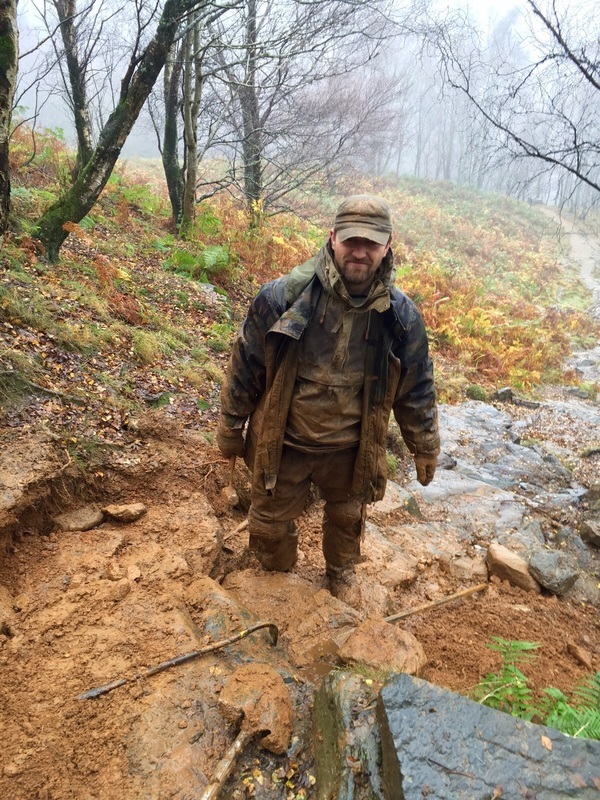 Pretty poor conditions plagued us on this project, very heavy rains which saturated the ground for months meaning we were often knee deep in mud. 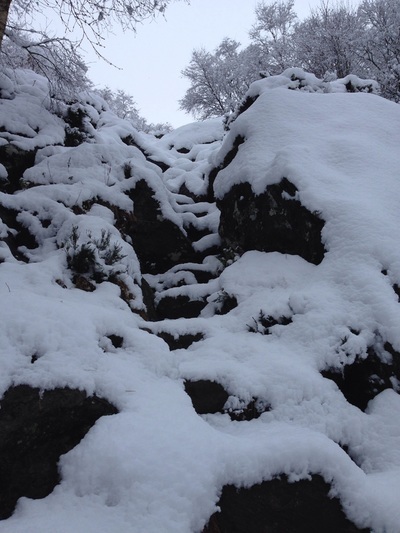 If it didn't rain, it snowed! From about half way it was necessary to use imported materials, this changed how the path looks and even how it is constructed, we also needed account for heavy rains and flooding and also for bedrock which underlaid much of the top half of the site. 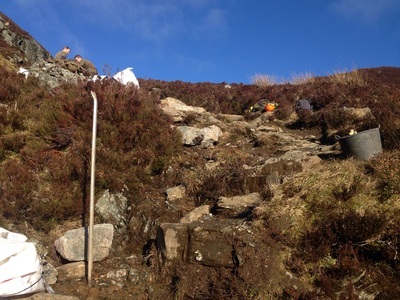 As can be seen, we did our best not formalise the path to much as it was felt that it was very important to try and keep the character of the area. 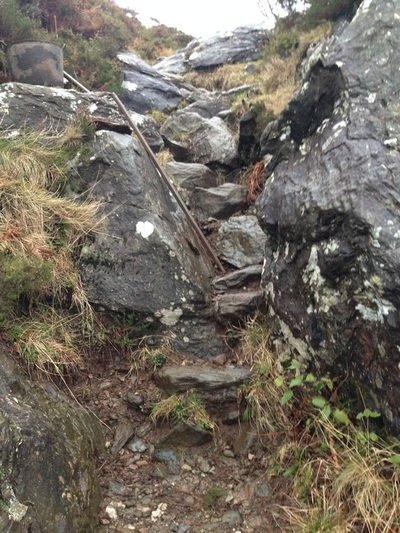 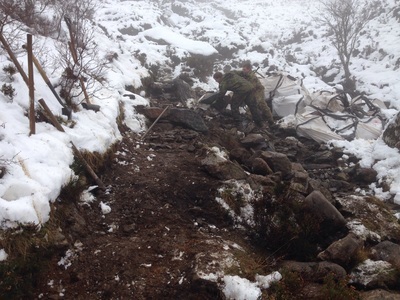 The bottom third of the path was constructed from materials on site, the rest used the stone that we flew in. Unfortunately we had to go with very heavy construction techniques wherever the burn crossed the path, often using innovative techniques to channel the water where we needed it to go, this was required as it was the water from the top of the site which caused most of the damage lower down.